It is early summer here in lahore but weather is still not hot because of recent rains. This is the reason most of spring annuals are lingering into the summer. 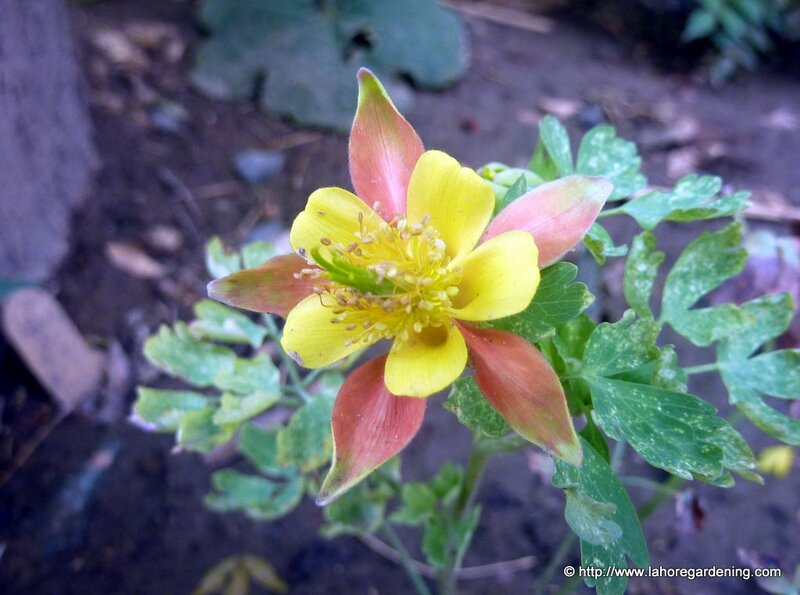 I would like to show you some of the flowers blooming in my small soil bed these days. Love in a mist, dwarf morning glory, double daylily. 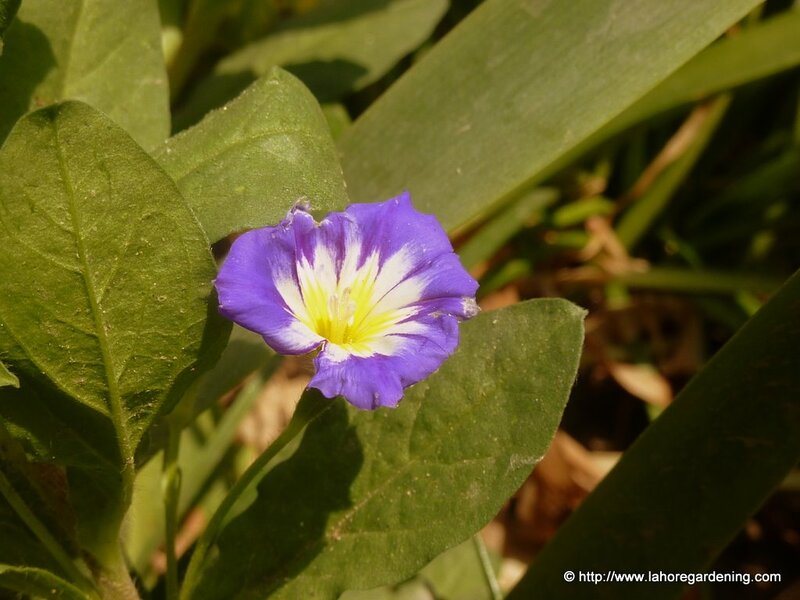 First is Dwarf morning glory, convolvulus tricolor is finally in bloom. I tried several times to grow it last year but could not succeed. This plant i sowed in November and it flowered after 5 months of sowing. Seed germinated very quickly. Plants are low growing and leggy. Must pinch them to have more shoots and more flowers. Flower is smaller as compared to tall morning glory but maybe because i let it flower too soon instead of establishing it a little further. Flower lasts a day only. Better grow it in masses.Cultivar is Royal ensign blue. 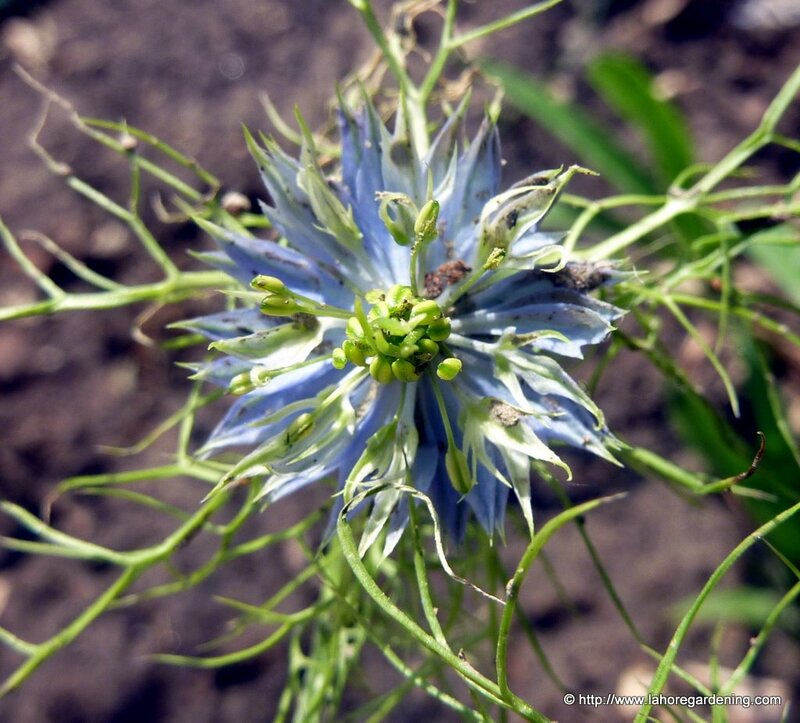 This is Nigella damascena, love in a mist. A close relative of Nigella sative a common herb with local name Kalwanji. Plant is leggy and needs support. It was a sow and forget plant. Just scattered the seeds on soil and that is it. 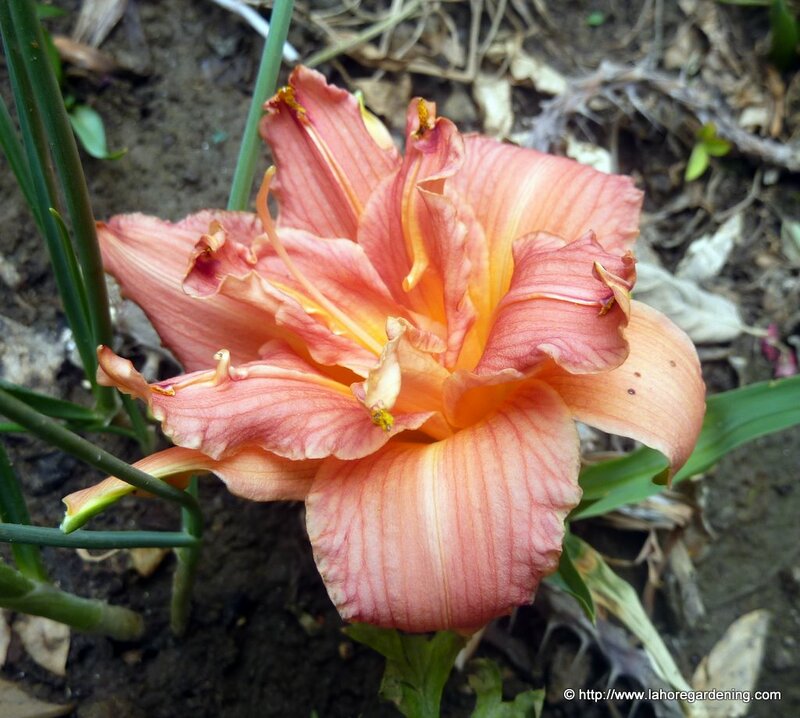 Double daylily is not a common sight in lahore. They are expensive and not easy to find. Only private collectors buy from abroad. This is a named one but not sure which one it is. Last but not least, This pink aquilegia is blooming under the neem tree. It is obvious from the picture that plant is not in very good health. But what else can you grow under a neem tree? Some mildew or fungus affecting it. Very pretty macro though. This post is included in macro monday. Do visit Lisa’s Chaos for more macro shots. Also visit http://blog.studiowaterstone.com/ for i heart macro. Lovly shots of some very pretty flowers. Each flower is very different yet beautiful in its own way. You have some lovely flowers in your garden! Very beautiful. It’s nice to see flowers I wouldn’t normally get to see. Your flower pictures are beautiful. They are all flowers that grow well here in England. Your aquilegia is doing really well and is beautiful. wow…love the blue flower…so unusual! Wow these flowers are for me looks rare. Very beautiful and love the colors too. Thanks for the visit. such beautiful flowers…isn’t springtime wonderful?! Wow…such a wonderful array of beautiful flowers!! 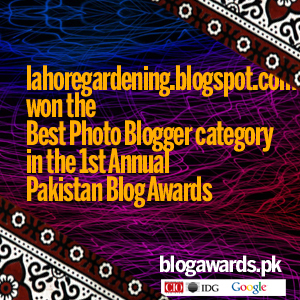 I too love to garden…but only with flowers – not much on ‘food’ gardens. Sorry I’m so late in getting over to visit with you since you left your comment in my blog …I’ve been feeling poorly with a bout of the flu. Hope your week has been treating you well, and I wanted to thank you for stopping by. They are all beautiful flowers, and I like the last photo for its beautiful colors.. The signs of the season are very pretty.